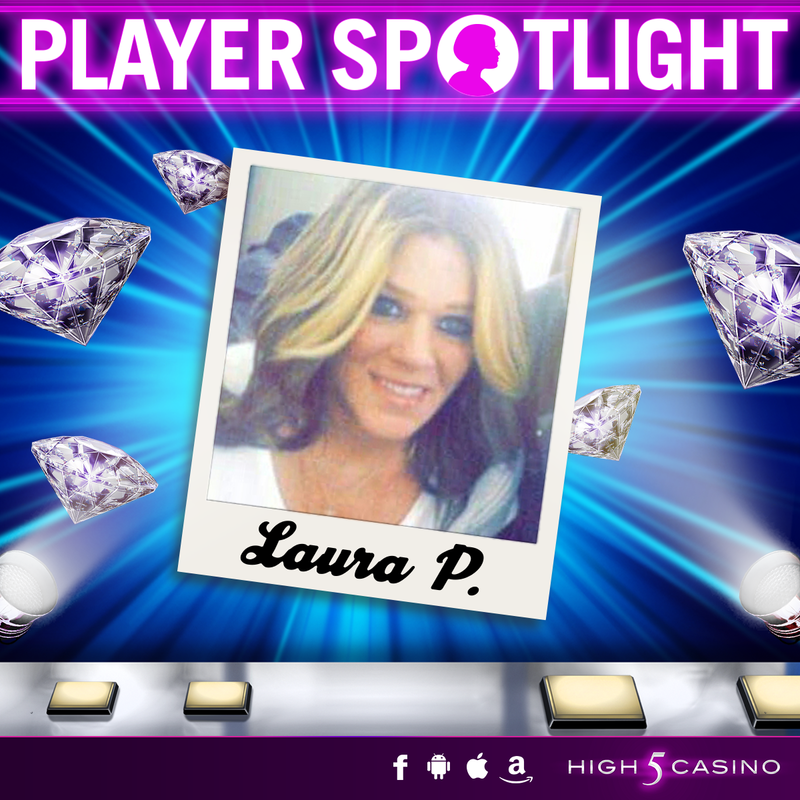 Get to know one of your amazing High 5 Casino friends in today’s Player Spotlight – Laura P. from Indianapolis, Indiana! If Laura was in trouble, she would call the intimidating Valkyrie Queen to rescue her! Which High 5 Casino character would you call to your rescue? Check below and see if you and Laura P. share the same answers! Was on the comments section of Heart of Vegas where we were complaining and someone suggested I try H5C. I did and was hooked right away. 3. Name your top 3 favorite High 5 Casino game features. Scatterbucks, Enduring Bonus and anything with a Retrigger. 4. If you could go to lunch with a High 5 Casino character who would it be? Why? St. Nick, of course. Give him my list. Top of the list would be $500 Google Play card to put toward High 5 Casino! 5. In your opinion which High 5 Casino game has the best bonus feature? Why? Haunted Horseman comes to mind because it seems to retrigger more free games a lot for me. Lucky Horse. We’d make some mulah together here at Indiana Downs!. A BOURBON Street Bash clown. Looks like Mardi Gras everday! 8. Fight Night: If you had to choose two High 5 Casino characters to fight each other which characters would you pick and who do you think would win the fight? Lovely Outlaws vs. Maggie and the Martians. That would be a riot! 9. If you could teleport to a High 5 Casino game which would it be? Why? Romeo and Juliet. Never seen it a land based casino before. Has a fun bonus game. Lots of them are very cool. I’d pick Cat Gangster . Bonus round is very cool. So… do you and Laura share some common answers to these questions? Comment in the conversation bubble located on the top right of the blog post and let us know! This entry was posted in High 5 Casino, High 5 Games, High 5 Moments, Player Spotlight and tagged App Store, Apple, Facebook, Free Games, High 5 Casino, High 5 Casino Mobile, High 5 Games, iOS, iPad, iPads, iPhones, mobile gaming, Player Spotlight, slots, social gaming by hoothigh5. Bookmark the permalink. THANKS FOR THE VARIETY OF GAMES, AND BONUS COINS!